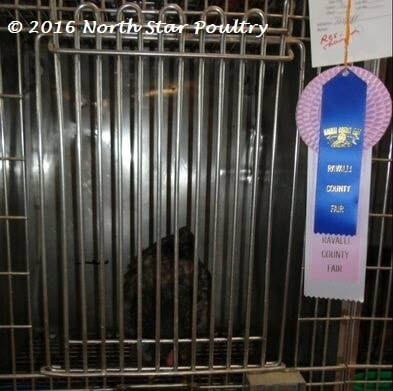 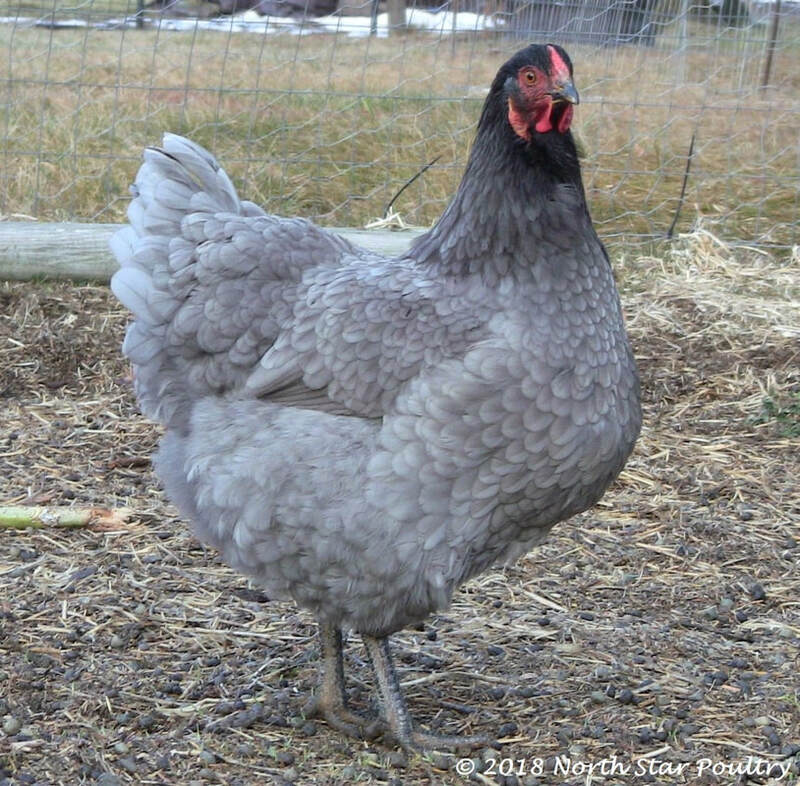 Blue from beak to toes, Blue Stars are definitely eye catching. 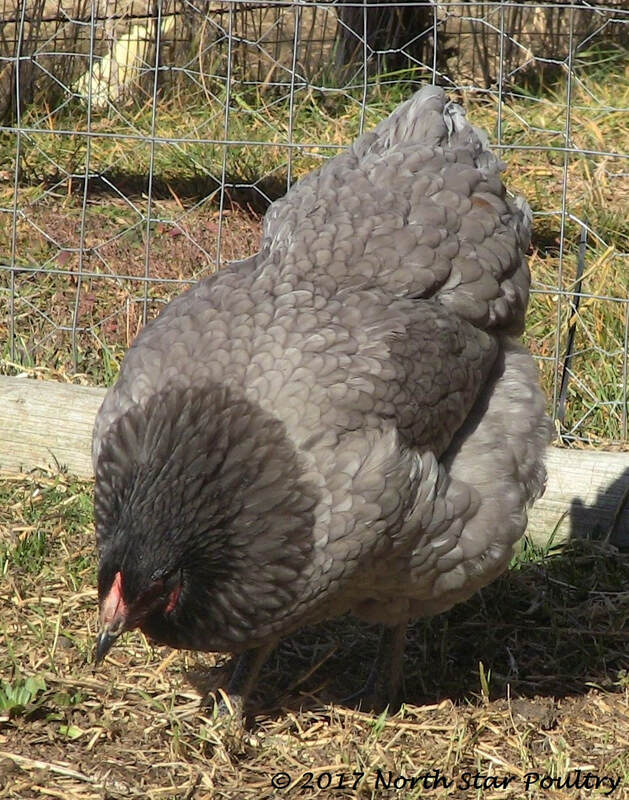 They are solid, round chickens with calm, busy personalities. 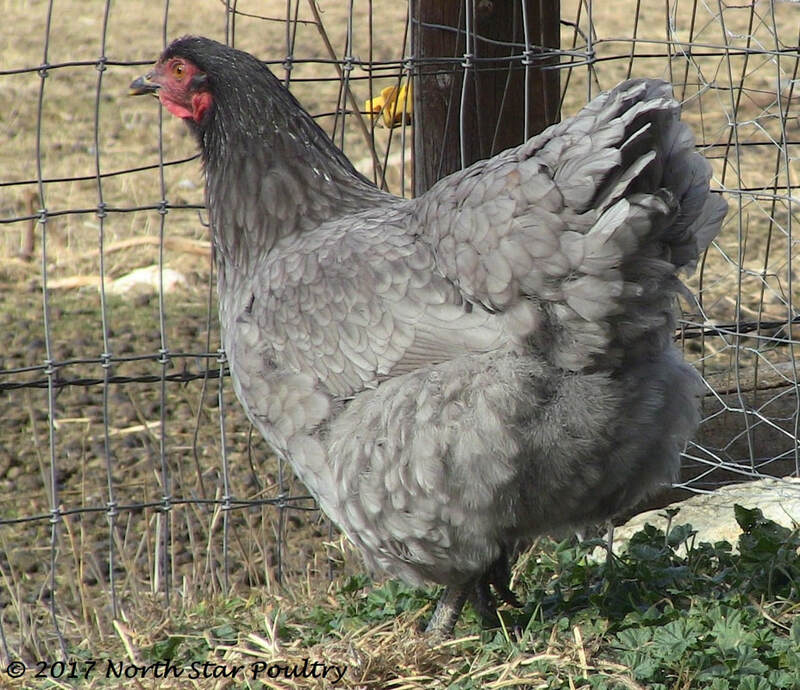 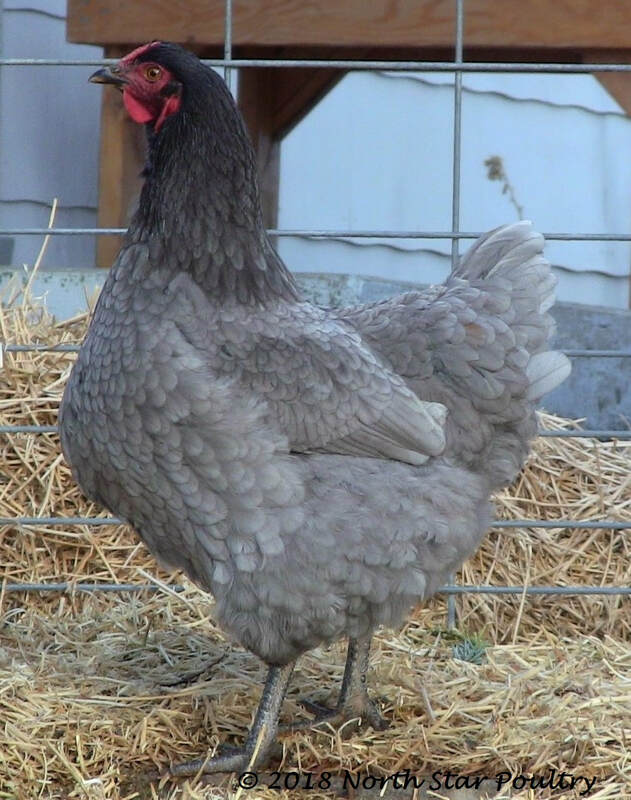 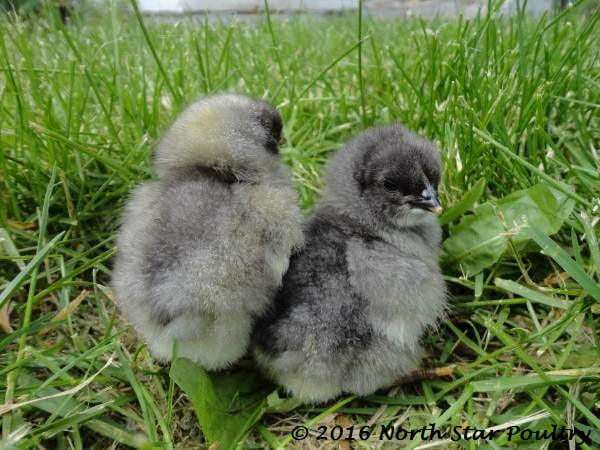 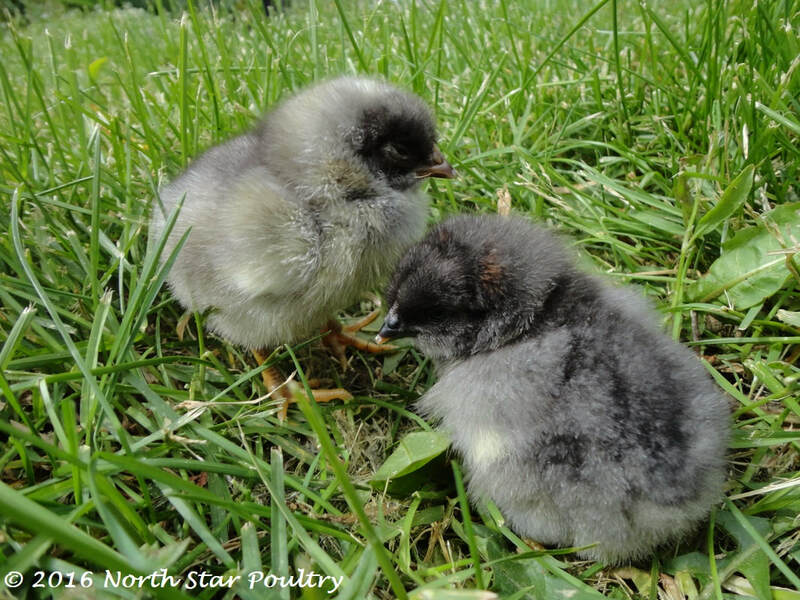 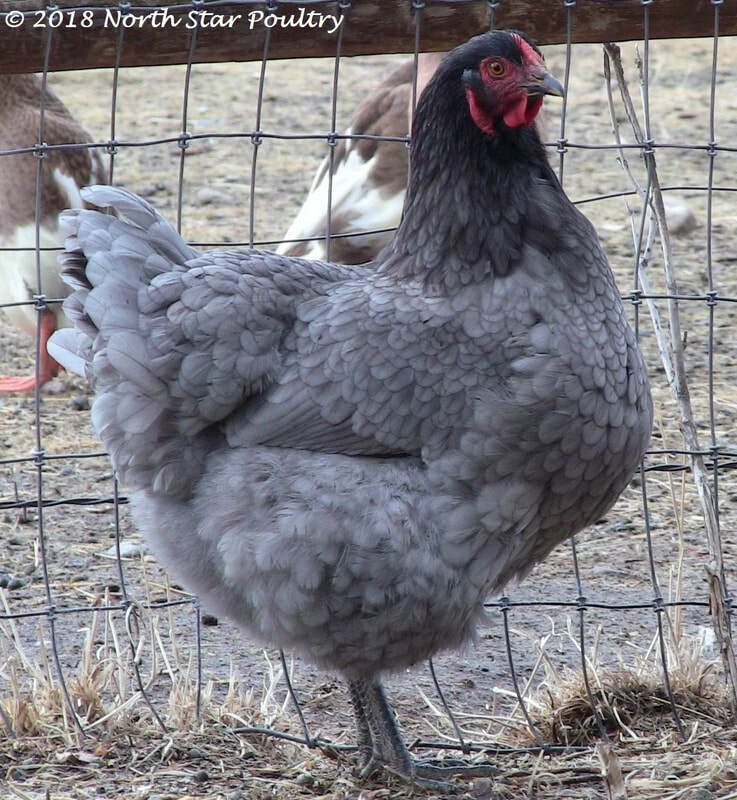 ​ Blue Star chicks range from lavenderish to slate to almost black. 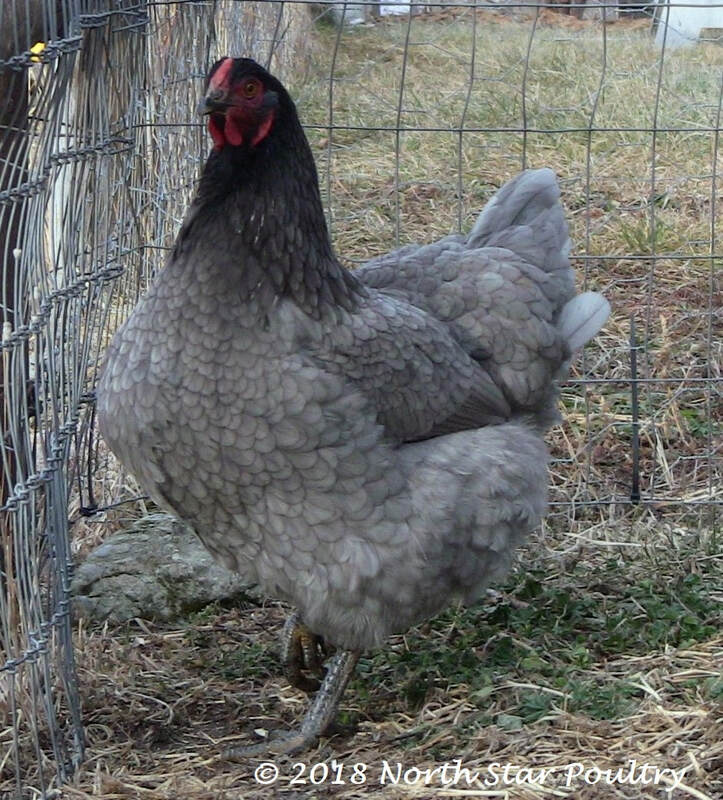 Usually they have yellowy-white markings on their tummies and wings and sometimes red or white markings on their faces.